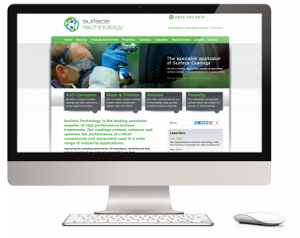 Leading specialist supplier of high performance surface treatments, Surface Technology, has launched a new website and corporate identity to support the company’s strategic vision for growth and expansion over the next decade and beyond. Surface Technology, part of Norman Hay plc, has grown both organically and through acquisition to offer a comprehensive range of surface treatment processes to a wide range of industries, including oil & gas, automotive, aerospace and medical, both in the UK and internationally. The new website offers a clean, modern design, easy-to-navigate functionality, and a content-rich site experience. It has also allowed the company to bring more than 60 years’ technical knowledge and experience together to help make the optimum surface treatment selection process easier for customers, allowing search by surface finishing process or by issues such as corrosion, wear, release and porosity.